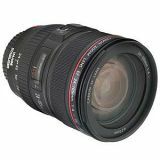 I have just recently accidentally dropped my canon EF 28-70 2.8L lens and was desperately was looking for a replacement. i was debating between the 24-105 and the 24-70. I had purchased the 24-105 lens and have no regrets. Paired up with my 70-200 2.8 (non-IS) lens, it make a wonderful combo! Just jumped back into the photography hobby with an EOS 50D and a 24-105 f/4 L lens. Take a look at my first three shots (full auto, 580EX ii) and let me know what you think about the clarity. Shot in JPEG mode which might be an issue. Have finally lashed out and purchased this lens,and what a grate lens it is - I don`t know if I am lucky and got a sharp one but I have nil complaints ,very sharp and the IS is very good even indoors with a bit of a boost to the iso. Not to heavy and is nice balance on my 5D with grip good general purpose walk around lens. I have a few L lenses and the build quality is very good just like my others. Have taken nice portraits and landscapes with it and it has performed to a high standard. Highly recommended if you are looking for a general purpose walk around lens, I will add this to my wedding kit. The contrast and colours are amazing, but that is another story. Just to add that the IS of this lens is very good to obtain handheld photos in very low light with a decent DOF. I couldn't have taken this photos of a Nativity with the 50mm 1,4 I have too. Editing in DPP you have the possibility to correct distortion, vignetting an chromatic aberraation in a very simple way. they are priceless when it comes to relate to an unknown subject. Without the 24-105 on my 5D I never could find that approach to an unknown city visited for the first time. great lens when you got a sharp one !!!!! soft, soft, did I metion soft? I have it hooked up to my Canon 30D DSLR giving me an 35mm equivalent of 38mm-168mm. It most cases its a good range. There are times I wish I could go wider. That will change when I go to a 35mm sensor soon! 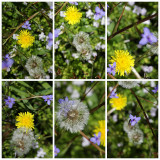 These 2 galleries have been taken with this awesome lens. Color rendering is very nice. This lense deserves the L-designation and is highly recommended! Even on a crop camera (I now use it on a 400D/XTI) it's a fantastic lens. The range, IS, constant F4, build quality and fast focusing are a joy to use. And when the time is right to go full-frame you can take the lens and use it (it's an EF lens not EF-S). Ideal travel lens! I used it for my last trips to Sri Lanka http://www.pbase.com/tvw/sri_lanka) and Samos http://www.pbase.com/tvw/samos). Though it does distort at 24mm, I am very happy with this lens. It makes for a fine walkaround lens. The IS is useful in those low light moments. I am now happy with the lens for all of the positives listed by others here. Definitely recommend checking out the quality, if you get one, but now I am very pleased. The IS, color, and sharpness are amazing, and I like the range on the 30D. I purchased this lens in August 2006 as a 'kit' lens with my new 5D. I had wanted this lens anyway as it has a great range for an L lens and is not too expensive. For full frame it is an excellant walkabout lens. Although I found I often wanted to go a bit more wide and this lens can have some distortion at 24mm (so I bought the 17-35mm f2.8 L second hand), I particularly like the fact this lens goes to 105mm unlike some of the competotor L lenses. It means that for 'walkabout' you do not have to change your lenses quite as often as you otherwsie might. I am satisfied with this lens and would highly recommend anyone buying the 5D to get one as a kit lens as it is then very good value indeed. PRO: 1) The Focal length is a in good range. A 24mm on the 10D, with the 1.6X crop factor, is just wide enough where I can travel with one single lens if I wanted to. 2) The Image Stablization works extremely well, allowing hand holding at 2-3 stops slower than without IS. 3) The glass is L quality, producing sharp vibrant images. 4) Solid construction. The zoom and focus rings has a solid feel to them. There is no lens creep, even when it's pointed straight up. The only downside is the price, but you soon get over it after you see the results. This lens is almost never off my 5D - perfect range and super optics, very sharp even at f4.0 and the IS works brilliantly. An instant classic from Canon. The color, contrast and sharpness of this lens is simply stellar. I like to shoot hand held and the 3rd gen IS lets me get razor sharp photos at 1/10 and even slower shutter speeds. There is some vignetting and distortion but they are easily corrected in Photoshop. I have own or used at least 80 pecent of all the lens Canon ever made. This 24 to 105 L is one of very best. this lens is very big disappointment and does not deserve the red "L" stripe on its barrel. Image quality is lower than i expected from $1200 lens. vignetting, barrel distortion and flare control of this lens lower than some third party 5 times lower priced lenses. I bought this lens and within a few days returned it for a full refund. I couldn't see a big improvement over my 17-85mm EFS IS and my 70-300mm EF IS does better than this L.